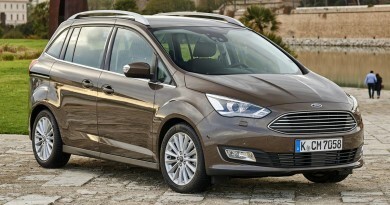 A new engine is the highlight amongst a number of changes being made to the ever-popular Ford Transit. The new downsized 2.0-litre diesel engine, named EcoBlue, promises increased fuel economy of 13%, provides more torque at lower revs and allows for 37,000 mile service intervals. Replacing the aging 2.2-litre unit, CO2 emissions drop as low as 157g/km with NOx levels reduced enough for the vehicle to qualify for Euro 6 standards. The engine has been developed with the latest turbocharging, fuel injection, combustion system, structural design and low-friction technologies to deliver significant improvements in fuel efficiency, performance and operating refinement, while delivering the durability and low cost-of-ownership demanded for a Transit power unit. For the Transit and Transit Custom models, the EcoBlue engine is offered in 105PS, 130PS and 170PS power ratings, each of which offers increased power and torque compared to the outgoing engine. Improved low-end pulling power – with 20 per cent more torque at 1,250rpm – delivers more flexible and responsive performance in everyday driving. Improved fuel efficiency helps lower running costs, with Transit models equipped with optional Auto-Start-Stop giving an average fuel consumption of 42.2mpg – a 10 per cent reduction over the equivalent outgoing model. Transit Custom vehicles, also fitted with optional Auto-Start-Stop, average 46.3mpg, which is a 13% improvement. 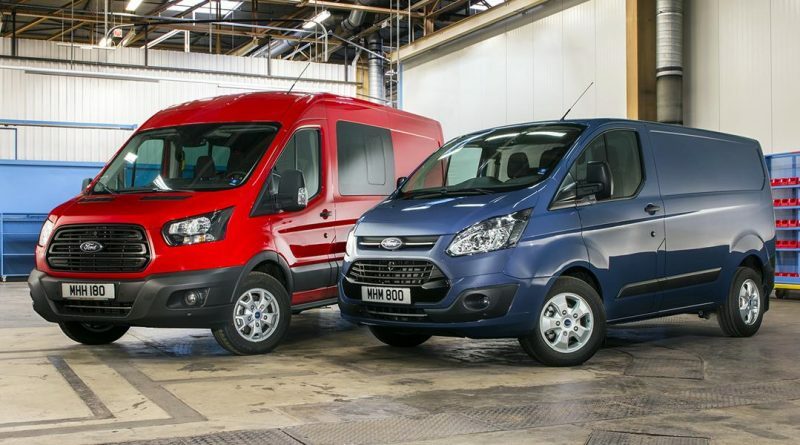 The net result is a cost saving of £1,250 over 80,000 miles for the operator of a new 105PS Transit Custom van, according to Ford’s own figures. To achieve all this, the EcoBlue engine features selective catalytic reduction (SCR) exhaust gas after-treatment using AdBlue, which does mean occasional topping up with the mysterious blue fluid. While the new engine and efficiency gains are the headline grabbing news items, the Transit has been revised in other areas with new driver assistance technologies available to order. Using camera and radar technology shared with Ford’s passenger cars, both Transit and Transit Custom customers can specify Pre-Collision Assist with Pedestrian Detection, Adaptive Cruise Control and Traffic Sign Recognition. An upgraded Electronic Stability Control system is fitted as standard, providing Side Wind Stabilisation, Curve Control and Roll Stability Control. There are change inside too, with the option of specifying Ford’s SYNC 2 voice-activated connectivity system and 6-inch colour touch screen. From late 2016, customers also will be able to specify a six‑speed automatic transmission in place of a manual gearbox, and a new rear air suspension option on Transit Custom Kombi models.